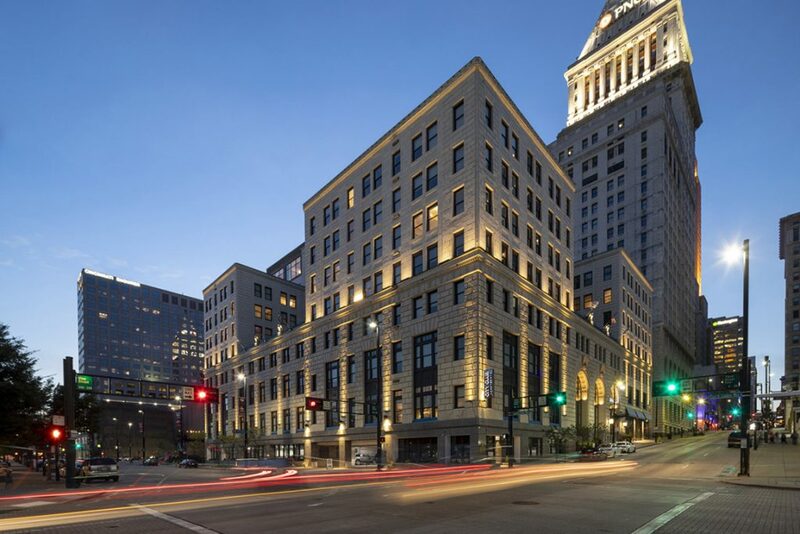 City Club Apartments Cincinnati is the restoration and adaptive reuse of a historic Cincinnati landmark. 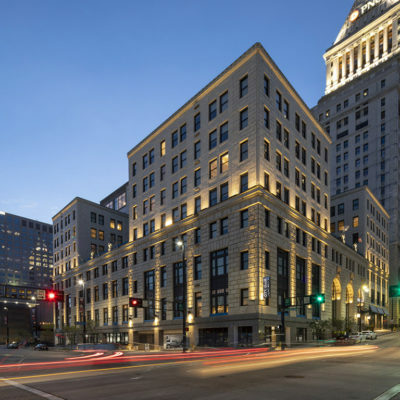 Constructed in 1928, this 450,000 SF Beaux Arts building is in the heart of Cincinnati’s downtown business district. 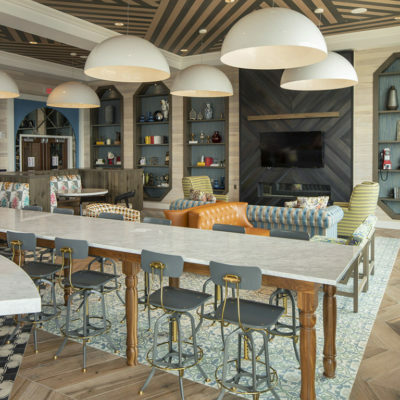 The site is located along the Ohio River and was once home to the 340-room Burnet Hotel, which opened in the 1850s. 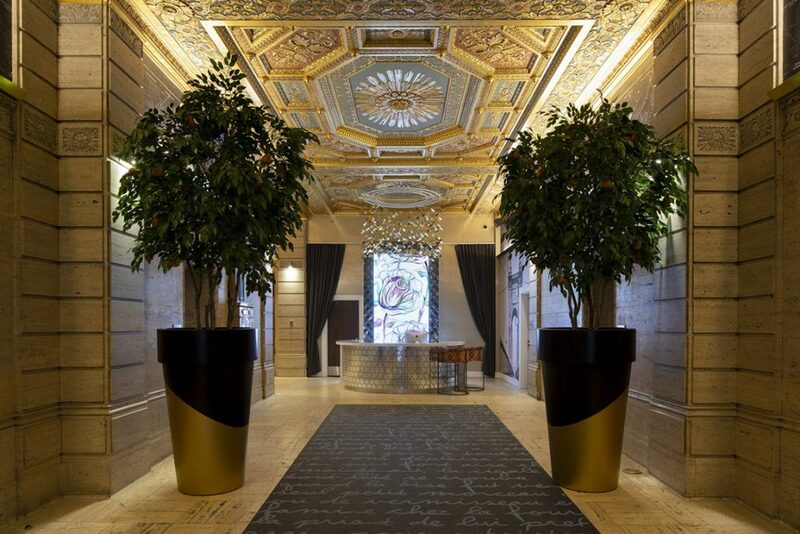 The hotel had a rich history and hosted multiple memorable figures, including Abraham Lincoln. 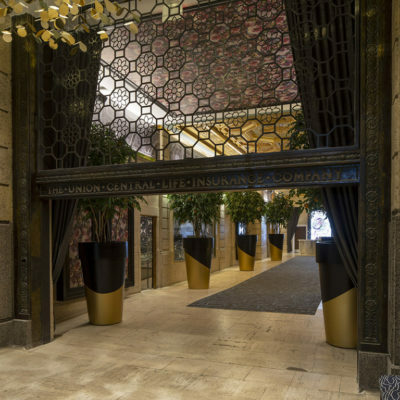 It closed in 1926 and was demolished the same year. 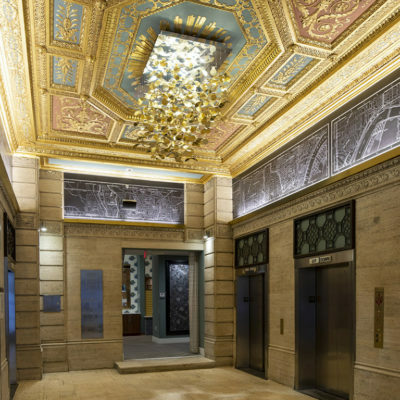 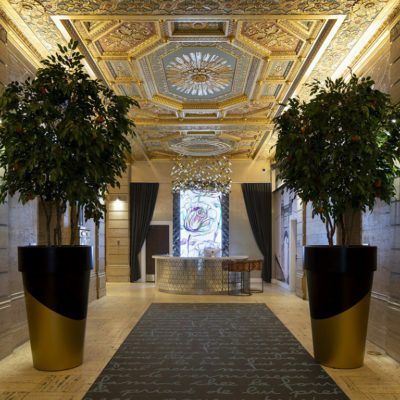 City Club Apartments Cincinnati was designed to maximize the value of the original character of the building by restoring high ceilings and the building’s historic finishes. 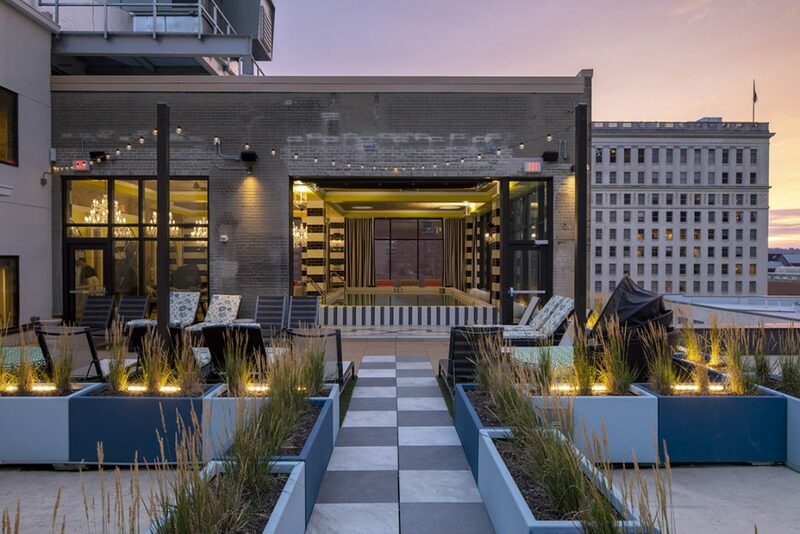 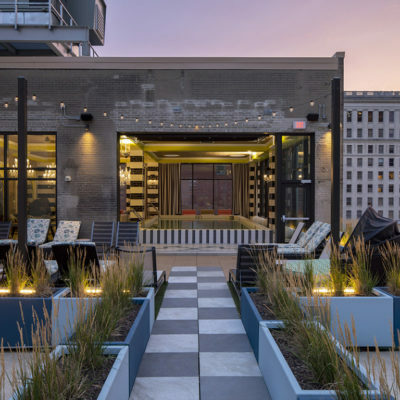 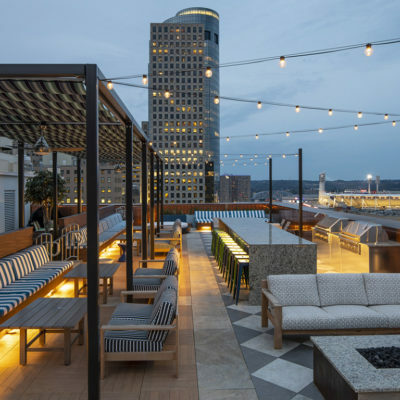 In an effort to creatively used the building’s utilitarian mechanical plant that was added in the 1980s, BKV Group created a rooftop amenity space that houses the indoor pool, the skyclub, and two outdoor terraces. 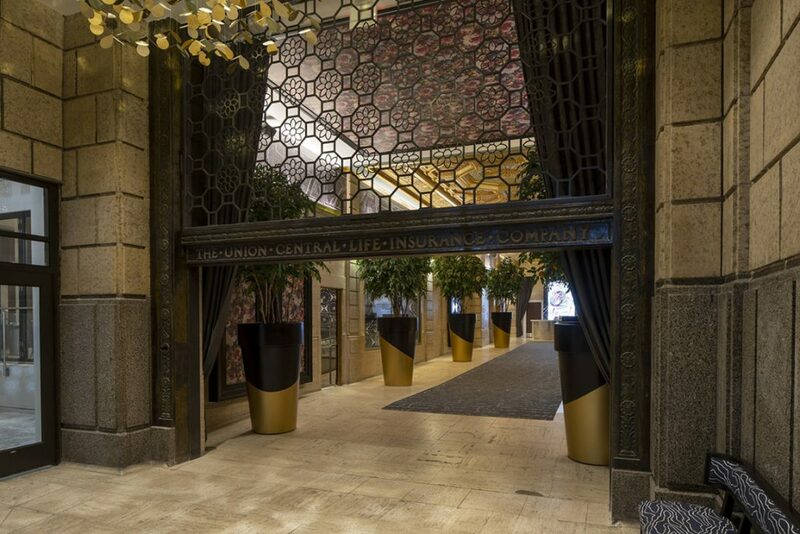 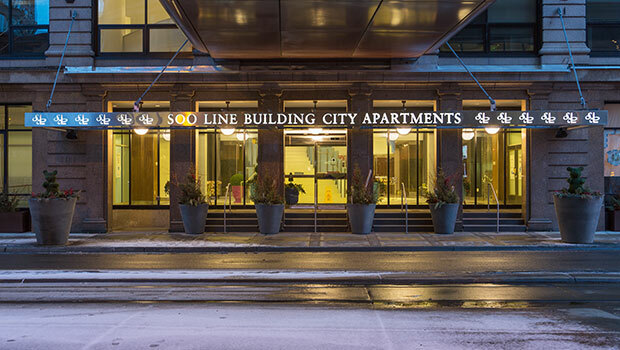 The project scope includes the restoration of the exterior facade and interior details, and the insertion of apartment units and amenities into the building. 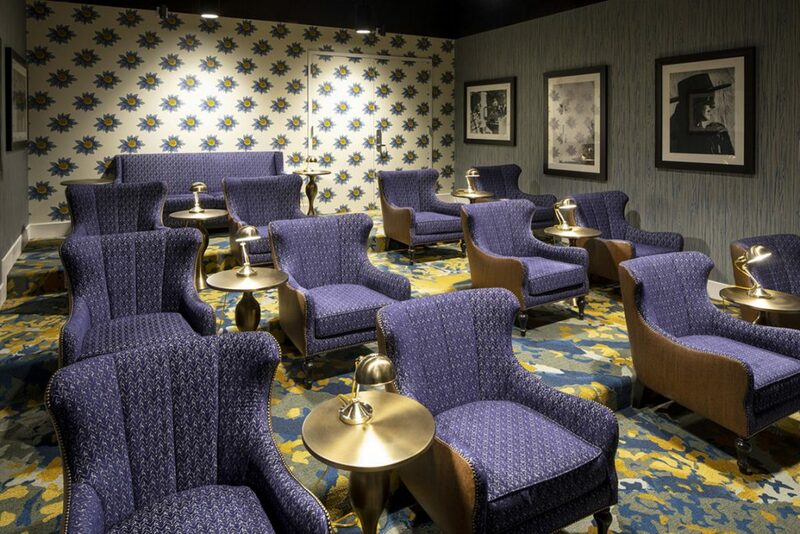 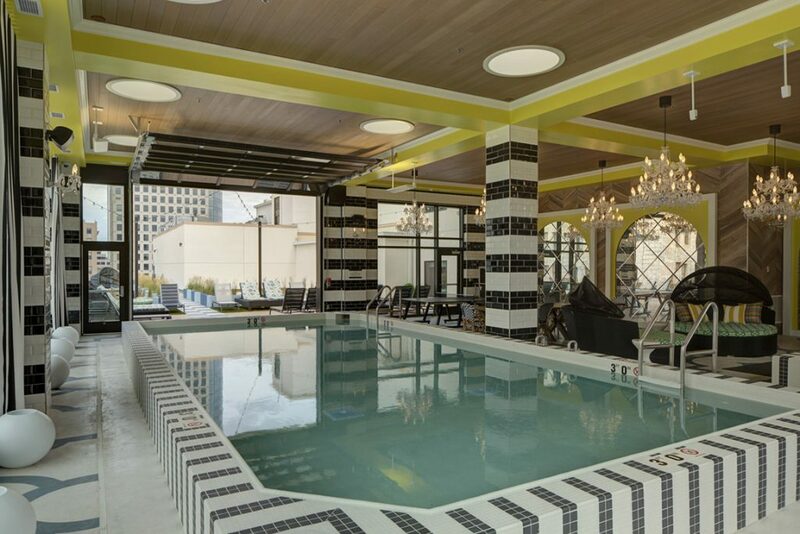 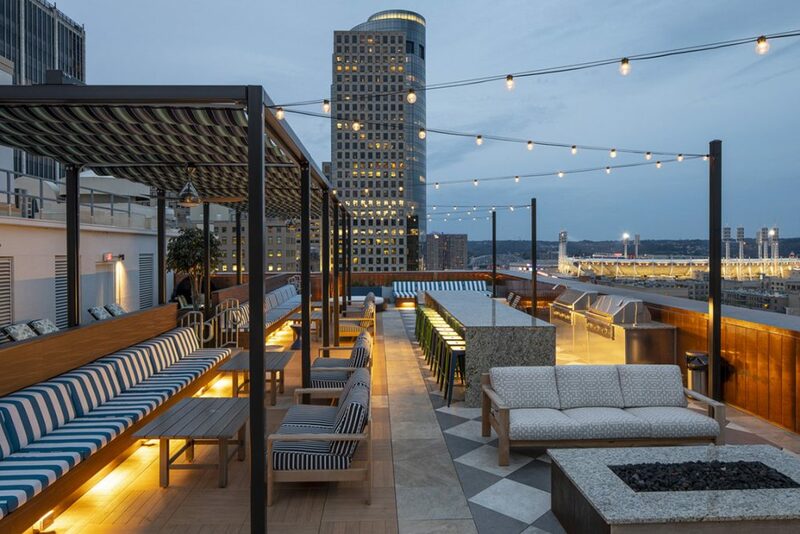 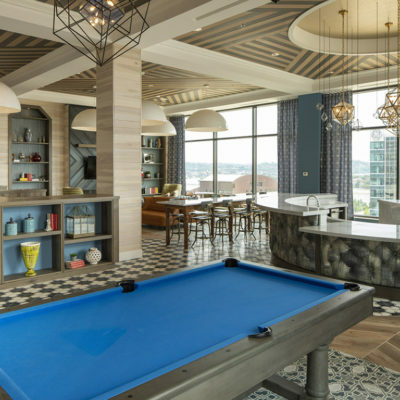 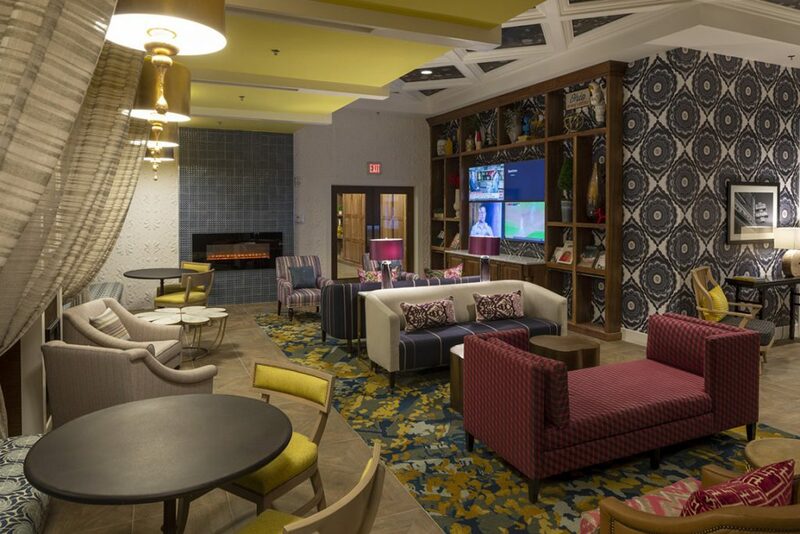 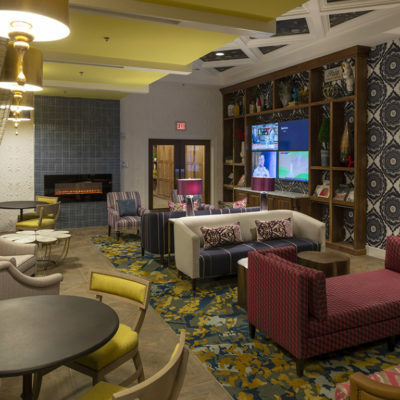 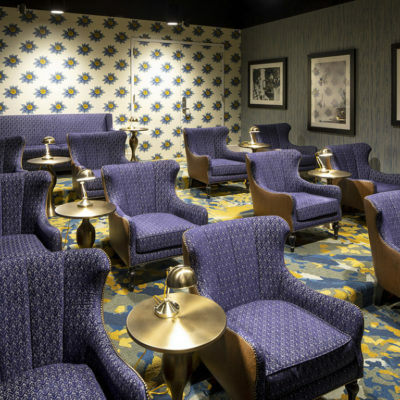 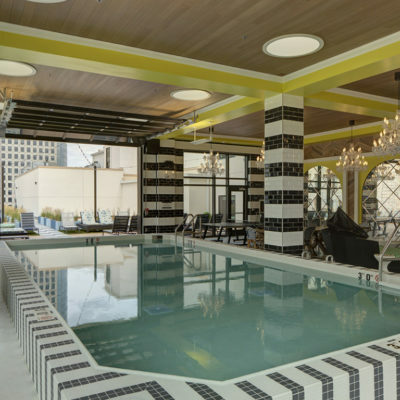 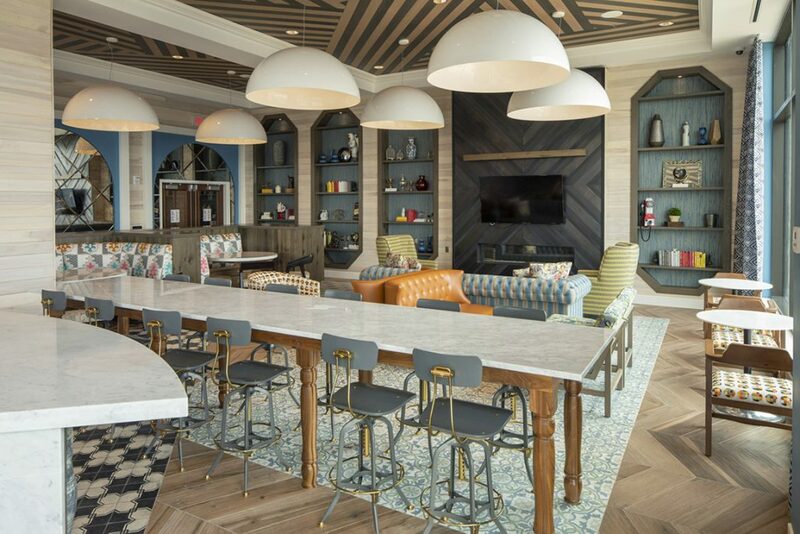 Amenities at City Club Apartments Cincinnati include a skyclub, rooftop pool, game room, movie theater, fitness center, and rooftop amenity deck. 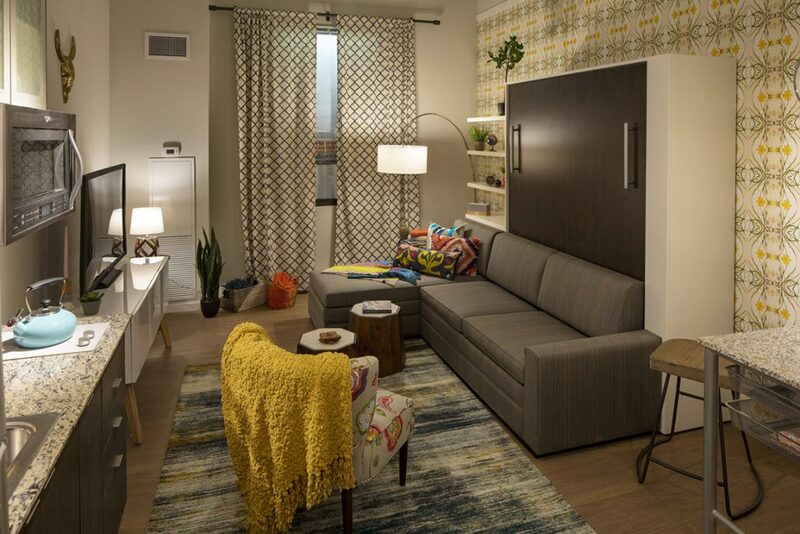 Residents can also enjoy a yoga studio, sauna, business center, and a 24/7 concierge. 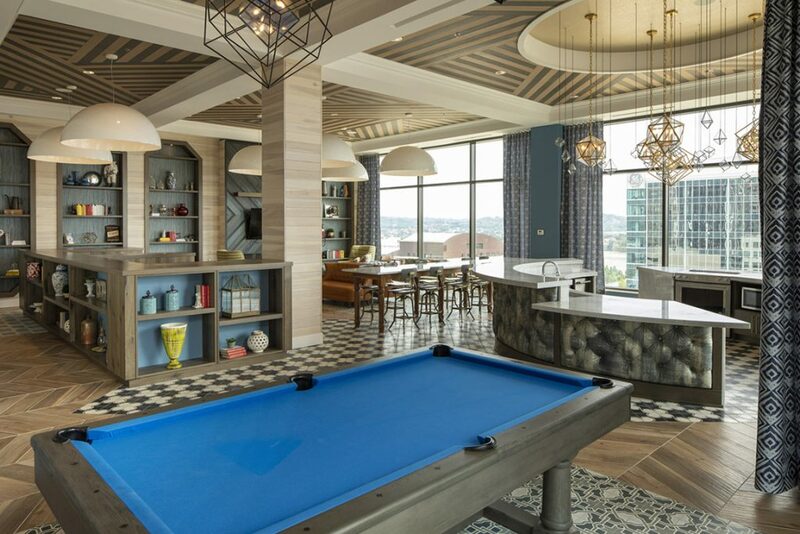 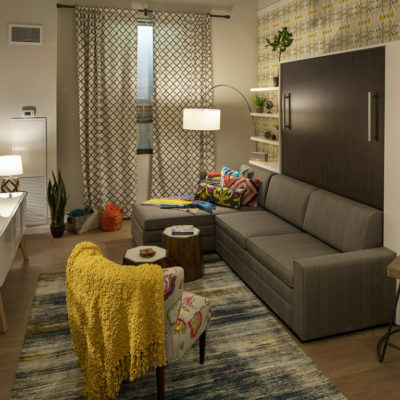 City Club Apartments Cincinnati has 294 market-rate units, and floor plans range from 395 SF “nano” units to 1,400 SF three-bedroom penthouses. 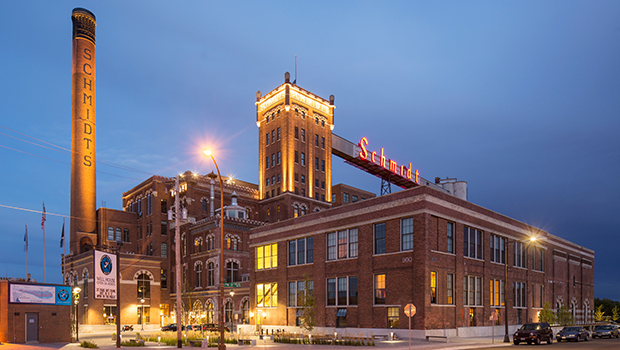 The project also provides 333 stalls of parking for residents, guests, and commercial/retail tenants. 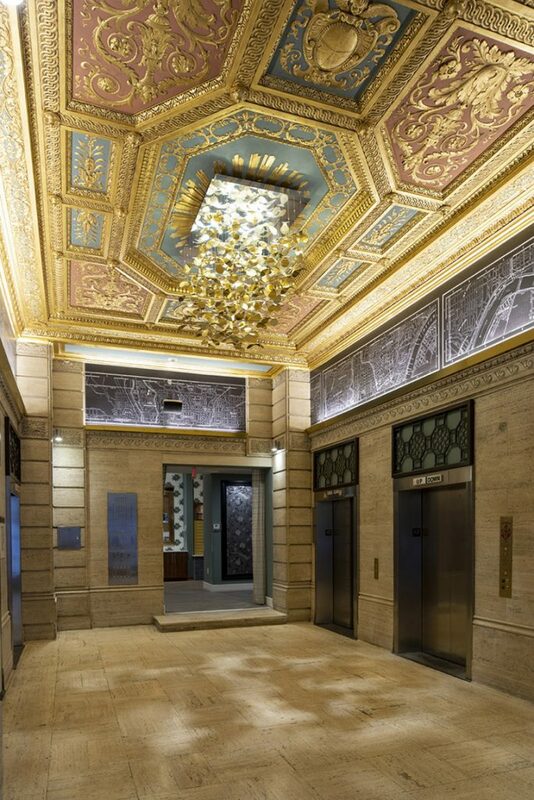 City Club Apartments Cincinnati was designed to maximize the value of the original character of the building by restoring high ceilings and the building’s historic finishes.